The Monster Energy NASCAR Cup Series may be off track until the Bojangles’ Southern 500 from Darlington Raceway on September 2nd, but myself and many others are still talking about Bristol Motor Speedway. The Bass Pro Shops NRA Night Race on Saturday evening was one of the top two races (Watkins Glen ranks in the top-two with it) in the 2018 in my opinion and we need more races like it. There is something about Saturday night short track racing that may fans, me included love. The intensity, and close door-to-door racing make it exciting every lap. Saturday night’s race didn’t disappoint as many didn’t expect what happened on lap two to occur but that’s short track racing at it’s finest. From the get go cars were trying to work their way to the front when Kyle Busch got around, leaving other cars with nowhere to go and ultimately ending their evening early. Whether you love him or hate him Busch made the race extremely exciting as he raced his way back from multiple laps down to ultimately run in the top-five towards the end of the evening. There was constant passing on the track, lead changes, and tight three-wide racing for position. If you missed the race, Kurt Busch was the eventual race winner. Busch captured his first win of 2018 and locked himself into the playoffs. I personally read some replies on the Internet to things I said on how it was a boring race and I shouldn’t rank it up there with Watkins Glen as one of the best races this season (to this point). Seriously? Were we watching the same race on Saturday evening? The Bass Pro Shops NRA Night Race kept my attention from start to finish, as did Watkins Glen a few weeks earlier. We need more short tracks on the MENCS schedule and less cookie cutter tracks, but again this is only my opinion and not that of NASCAR as a whole. I personally would love to see NASCAR return to race on tracks such as North Wilkesboro, South Boston Speedway, Fairgrounds Speedway Nashville, Memphis International Speedway and Hickory Motor Speedway to name some. However, these tracks have been abandoned for years now, so it’s important to remember many of them desperately need some serious TLC if NASCAR does ever plan on returning. The desire and hope for more short tracks isn’t being ignored by NASCAR though. There has been plenty of talk on social media since BMS on how NASCAR could shake up the schedule but that’s won’t be happening until at least the year 2020. Why? That’s the year that a bulk of the long-term tracks contracts are set to expire. 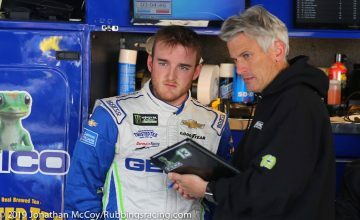 NASCAR Executive Vice President and Chief Racing Development Officer Steve O’Donnell was on SiriusXM on Monday morning and he chimed in on the topic at hand as well. 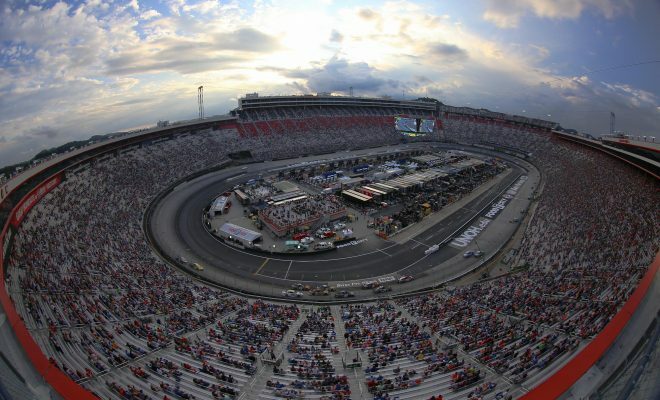 For the time being NASCAR fans still have some short track racing to enjoy on the tracks of Bristol Motor Speedway and Martinsville Speedway. Many ask why I personally feel the way I do about the short tracks and my answer is simple in my eyes it’s exciting races, short track racing reminds me of a local track on Saturday evening and the fans like myself have spoken. Honestly, I also feel as if giving the fans what they desire may help revive the sport even more. I recently asked on my Twitter account (@SarahHandy85) and my personal Facebook page what you the fans thought of the race at BMS, if it was a good race and was it one of the best races of the season? It was a good race!! Bristol night race is always one of the best races of the season! 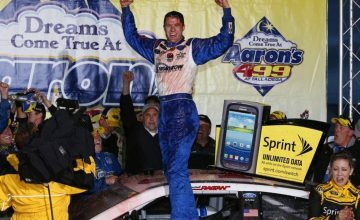 Racing at BMS always brings out the emotions from the drivers, crews & fans! Kyle Busch is the perfect example this time around, everyone loves to hate him, but I love him. Wicked wheelman!! It was a really fun race to watch, there was racing all around the track and there was never a clear favorite on who was gonna win. Outstanding show put on! Just another reason NASCAR NEEDS more true short tracks! Many of you who didn’t even personally discuss the race with me expressed on social media what a great race it was and how fantastic short track racing is. 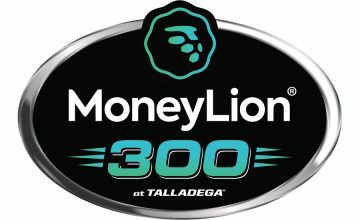 The desire is certainly there for a shakeup of the schedule and more short track racing, but as fans of the sport we will all have to patiently wait until at least the year 2020 to see any serious changes to the schedule. I want to share this clip from an episode of NASCAR RaceHub piece on Fairgrounds Speedway Nashville that many fans may have never seen. The track held NASCAR Grand National/Winston Cup (now the Monster Energy NASCAR Cup Series) races from 1958 to 1984. Note: I want to say thank you to the fans who took the time to respond to my social media posts about doing this piece. I had been waiting for a particular piece to come to mind where I could include fellow fans and I felt the race at BMS was the perfect opportunity to do so. ← Previous Story ACT Late Models: Get to Know StarCom Racing’s Jason Larivee Jr.